Here at Jewel we offer a fantastic range of uPVC Patio Sliding Doors to beautifully complement range of homes in Camberley, Guildford, Farnborough and across Surrey. Ideal for linking home and garden, sliding doors effortlessly enhance the space your home already benefits from, while creating the illusion of more. Our uPVC Patio Sliding Doors can add a spectacular effect to all kinds of Surrey homes, creating a superb link between your home and garden that will be impressive all year round. Choose Jewel for your new patio doors today, for a reliable service that will only give the best results possible for your Surrey home. Our uPVC Patio Sliding Doors are the most secure on the market, featuring an exceptional modular locking system from Yale that is sure to keep your family safe from harm. An incredibly family-friendly option for your Surrey home, our uPVC Patio Doors even include a ‘finger-traps-free’ design to keep your little ones from any misfortunes. Designed with high tensile Shootbolts for optimum security measures at both the head and cill of the door, our uPVC Patio Doors offer exceptional safety, and are guaranteed against cracking, warping or discolouration with a generous 10 year guarantee. Our patio doors are incredibly thermally efficient, manufactured using an intelligent multi-chambered profile from Liniar that will keep warm air trapped inside your Surrey property for longer. Far surpassing energy requirements, our uPVC Patio Doors offer WER of A+12, keeping your loved ones cosy and warm all year round. Offering exceptional ventilation benefits, your Surrey home will never be too warm or too cold. For the best of both worlds, choose Jewel Bi-Folds. 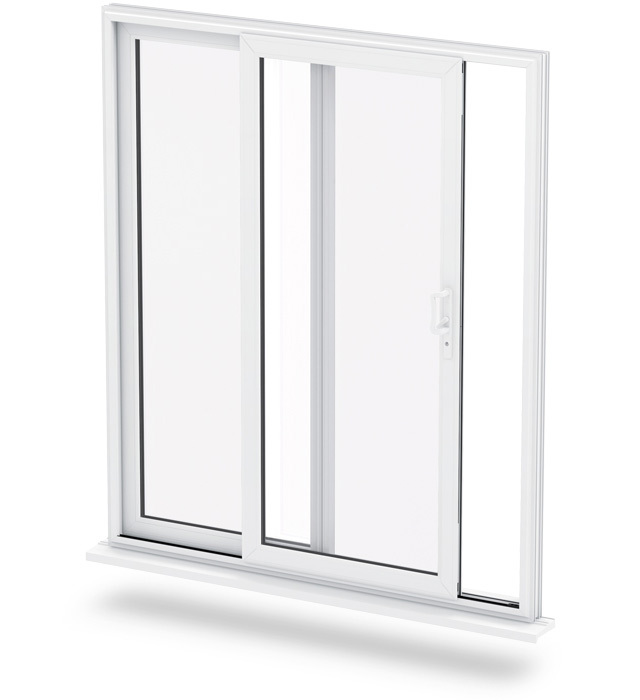 Choose our uPVC Patio Sliding Doors for virtually silent operation, manufactured using a multi-wheeled ‘air-glide’ running system to keep operation as smooth as possible. With their beautiful wrap-over design, scuff marks are easily prevented, looking as good as new for years into the future. 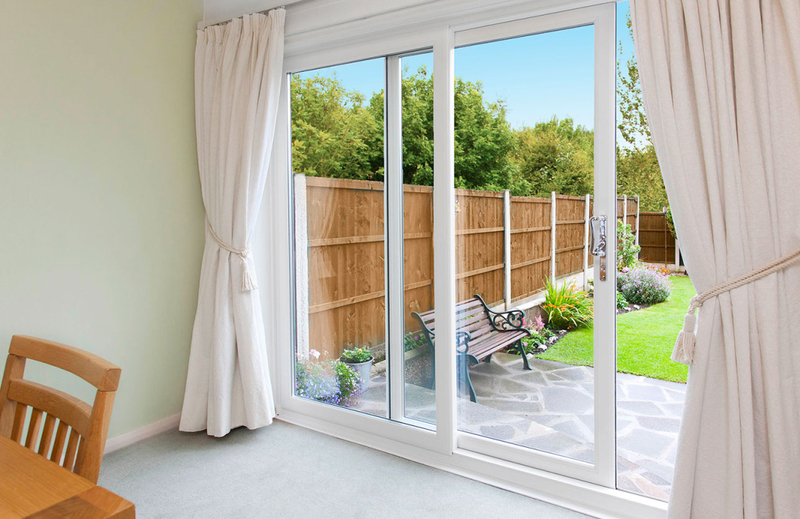 Choose Jewel Bi-Folds for the best uPVC Patio Doors in Surrey. Our Patio Doors are incredibly well priced, making a beautiful statement choice for your Surrey home. Start your online quotation today for competitive patio door prices in Surrey – just enter your measurements and style choices to receive guide door prices. If you’re looking for more information, fill in our online contact form. 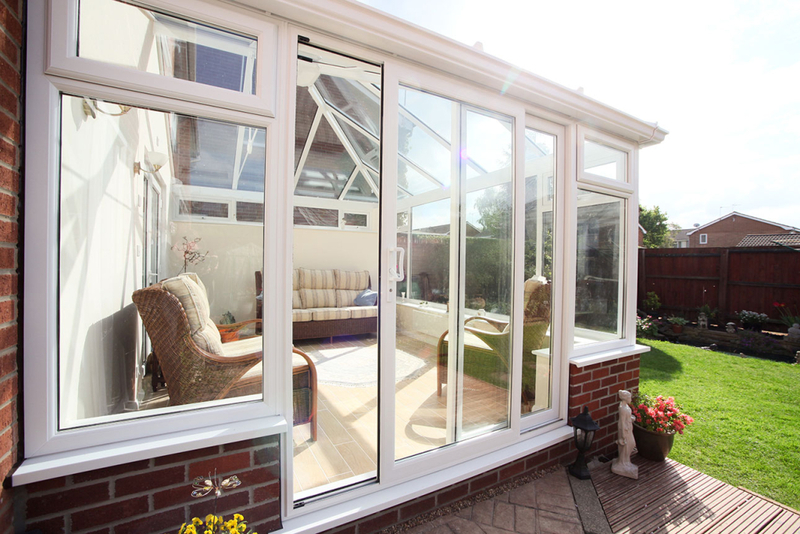 Our friendly advisors will quickly provide you with a helpful response, getting you on your way to uPVC patio doors in no time at all. Get an instant online price for aluminium bi-fold doors today, use our simple bi-fold builder to receive your price!